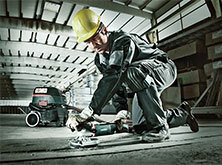 The Metabo PICK+MIX system stands for limitless combination options in the 18 Volt class. Select precisely the machines, battery packs, chargers and transport possibilities you need - and save money! More flexibility is hardly possible: With PICK+MIX select from numerous machines, battery packs and chargers, cases and bags. You will find the right thing for almost any application. 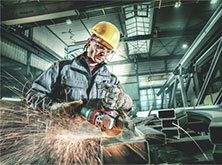 The Metabo Ultra-M technology permits a 3-year warranty on battery packs. Since 2009, our battery packs are compatible with all Metabo cordless machines and chargers of the same Volt class. Save money: Get just the machines, battery packs and transport possibilities that you need! No more, no less. Enjoy several benefits: After all, you only pay for the machines, the charger and battery packs, and the transportation options that you really need! Here you will get to the PICK+MIX Configurator.